On Friday night, I treat the boys to steak and fries. It’s their favorite meal of the week, and for once I don’t have to negotiate with them (they should both be lawyers!). The steak is grass fed from Trader Joe’s, and while I’m there, I grab a bag of fries too. Yes! The Clever Carrot doesn’t make her own fries! You heard that right. In my defense, the correct way to make fries is to double fry the potatoes for a super crispy outside and fluffy middle. Tell me something: who in their right mind would double fry anything in raging hot oil at the end of the week? Plus, I found an easier and healthier way to do it without the fat. Phillips reached out asking if I’d like to try their new Airfryer. Interestingly enough, my dad told me about this Airfryer so I was somewhat familiar with the concept. He made Chinese spareribs and they were beyond delicious. Oprah even put the Airfryer on her Favorites Things List (2016). So, how could I not want to learn more?! After watching this demo video, all I could think about were crispy fries for the rest of the day. I think my thighs got smaller. Its unique shape allows hot air to circulate all around the food, for even cooking without the fat. All you need is 1 tablespoon of olive oil! Any residual oil drains away as it cooks so you’re not left with a soggy mess. The food is crispy on the outside and perfectly cooked on the inside. You can use the Airfryer to cook all sorts of things too, including veggies, steak, desserts, even bread! For the recipe, I created a medley of veggie fries. The lineup included sweet potatoes, parsnips, and heirloom carrots. I tossed the veggies in olive oil, garlic powder, and rosemary, and dusted them with cornmeal for a crunchy texture on the finish. Each vegetable takes a different amount of time to cook, so I air-fried everything in batches. The parsnips cooked the fastest, followed by the sweet potatoes and carrots. Because carrots don’t have as much starch as the other veggies, they didn’t fully crisp as per a typical french fry, but cooked nicely and had great flavor. I have a FANTASTIC giveaway for YOU! Plus, you get a 20% off coupon code for all purchases: OPRAH. To enter: leave a comment below and tell me what YOU would like to make in the Airfryer! Contest open to US residents only. You are going to love this one! Good luck to all! *This post was in partnership with Philips. All opinions are my own! * For best results, make sure to cut the vegetables roughly the same size, for even cooking. Set your Airfryer to 350 F.
Peel and trim all of the vegetables. Cut into ½-inch sticks. The best way to do this, is to cut the vegetables into slices first, lengthwise, and then across to create 'fries'. Place the vegetables into 3 bowls, respectively. Drizzle the vegetables with olive oil, rosemary, garlic powder, and a sprinkle of cornmeal. Toss well to combine. To air-fry, place half of the sweet potatoes into the fry basket, making sure not to go over the max line. Cook for 6-9 minutes or until crispy. Transfer to a wire rack and sprinkle with salt while still hot. For the parsnips, cook for 3-4 minutes. For the carrots, cook for 10-15 minutes. Serve directly on the cooling rack, family-style, or on a large platter. Veggie fries are best enjoyed warm, fresh out of the Airfryer. I would first do a collection of different French fries. Maybe ones dusted with smoky paprika, ones dusted cumin and chili powder,and ones dusted with fresh garlic parsley and Parmesan. Then I would maybe try donuts! Or Beignets! I’d make wings, they’re my indulgence, but I hate deep frying them & baking in the oven doesn’t quite crispy them enough. Oh, I would love love LOVE one! My niece in Brazil has this appliance and I was the lucky guest to try several of her concoction, indeed amazing! sweet potato fries and maybe fried zucchini sticks. Do you think that be good? I’d probably make fries like you. Perhaps carrot or sweet potato. I think the fries you made here would be my #1 thing to try! Besides these veggie frys id love to try fried chicken. Switched to oven fried a long time ago but the thought of real fried chicken appeals. Saw these on sale on Black Friday but didn’t want to brace the crowd not knowing results. Thanks. Sweet potato fries for me, too. My friend loves her air fryer. I would love to try egg or spring rolls. My family loves them, but I don’t make them because I am afraid of deep fryers! I would like to make butternut squash and beet fries. Thanks for the chance to win. This Airfryer sounds amazing. I am always trying new recipes but have shied away from any that require deep frying, much to my disappointment. I would LOVE to try all of them, especially veggie fries since I have found other methods don’t really result in crisp fries. I will totally make French fries!! But then I’ll use them to make poutine. I’m married to a Canadian, so poutine is always on the list of cravings. However, how can I justify French fries smothered in cheese curds and gravy? Maybe, just maybe an air fryer is the answer. In addition to sweet potato fries, I absolutely LOVE fried cauliflower…that’s probably what I would try first. Sweet potato fries are a fav in my house!!! I would also make homemade potato chips for a treat! Yum! I haven’t had fries in YEARS because of all the oil and fat! I’ve been dying to get an air fryer because my friend has one and she says it makes the best sweet potato fries. I would love to be able to eat fries again without the guilt. It’s on my Christmas list, but I’d love to win one! I’m trying to eat healthier and my 2 year old loves fries. This would be a great way to incorporate some more veggies into both our diets. I love making healthy snacks for the week out of fruits and veggies. My favorite is turning zucchini, sweet potatoes, kale, or apples into bite sized chips! I do this by baking them with similar seasoning you used for your fries. Of course this does not come out as tasty as frying them would, but its a much healthier option and still satisfies the taste buds! I would LOVE to see how they would come out in the AirFryer. Your fries look and sound delicious – either way I have to get my hands on one of these to play around with! Thank you for the giveaway chance! I’d love to try my hand at fried baby artichokes and assorted veggie-based chips! I teach kids how to cook, eat, and grow food in underserved low income areas. Tools like this expand our reach and helps kids find healthy alternatives. We would love a device that would help lower fat usage. Thank you for considering us. Oh, fries. Of course. And chicken strips for child .. . and spring rolls . . . and . .. well, everything. It looks awesome! Tempura veggies! I love the tempura cauliflower, broccoli and mushrooms. I would make French fries which I never do because of the frying. My friend purchased this air fryer and had me over for fries and wine. It was wonderful. I’ve never once been able to get the right fry on onion rings before! Could this be the remedy!? I would make fried ravioli! First thing – sweet potato fries. This looks far less messy than anything else too. Definitely sweet potato fries. Then, I would love to experiment with different veggies and small pizza tarts and …..the list is endless!! I’d love to make deep fried halibut! It’s my favorite but I’m scared of the deep fryer so I only indulge when my dad makes it. I’m trying to reduce my fat intake and this can truly help. I have struggled with this issue a long time and as a cook I am many times tempted to bring the deep fryer out of hiding for my Spanish recipes that need to be fried. I can see it now,the unendless possiblies with a air fryer. I would love to try this with my mother’s empanadas. The fries look so good. 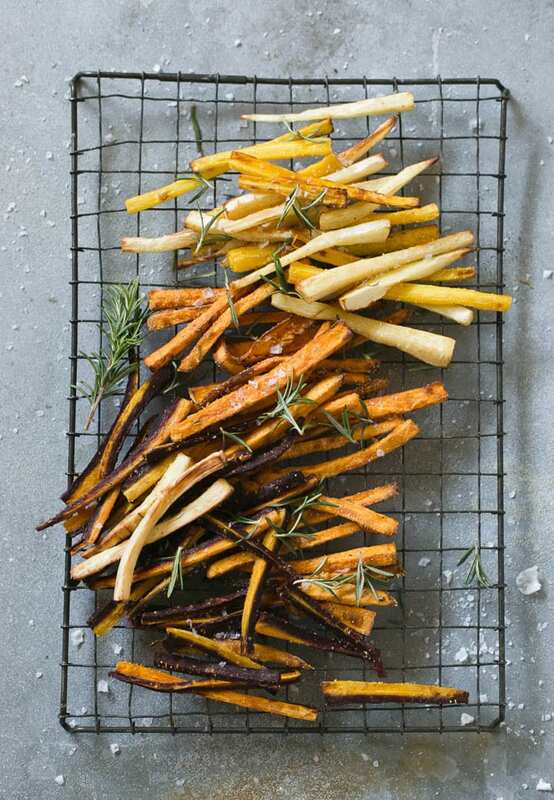 I would make sweet potato fries first and experiment with all kind if veggies. i know the health benefits would be so beneficial and no guilt. Wow!… I would very mush like to make “Pastacelle,” a southern Italian favorite Christmas pastry. You won’t find recipes for these in any but the more exotic cookbooks of southern Italian cuisine. In size, they are about the same as small semi-lunar “handpies” or empanadas. They are filled with a mixture of dark or semi-sweet chocolate held together with powdery fine almond meal, cookie meal, a spike of espresso coffee and sugar. Orange zest is often added, too, for that incredible chocolate-orange flavor. Yummy. I would love to enjoy these again without the heaviness of deep frying. The air fryer sounds like just the ticket! Fried sour pickle spears with a sriracha ranch dipping sauce! Fry bread for tacos would be delicious! My six kids are lovin brussell sprouts. I make a lot of oven fries, baking them at least 3 times a week, my kids love’m! Normally, I cut the potatoes into wedges, drizzle with a bit of olive oi and cook them for 45-60 minutes. It takes a lot more time than frying but they are healthier and in my eyes taste better. I use russets and sweet potatoes, the kids don’t like the latter. I season the sweet potatoes with cinnamon, cayenne & rosemary and finish them with a drizzle of honey. I’ve experimented with coating the russets with duck fat and so far love the results! After checking the Airfryer recipe page I would like to make some chicken and fries (of course). Oh, the experimenting I’d do!! Start with sweet potatoes, but I have a feeling there’s nothing I wouldn’t try!! 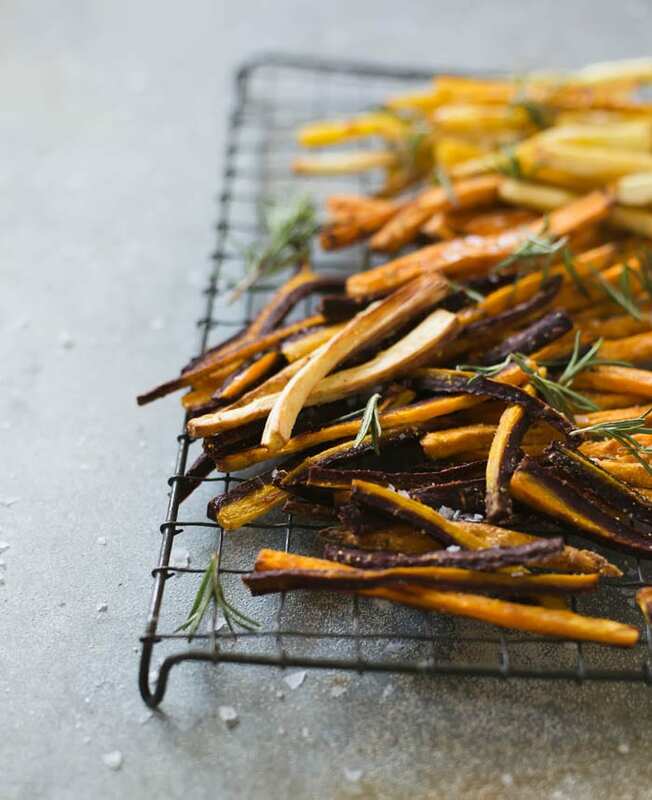 I’m keeping it simple and saying I’d like to make fries – but sweet potato fries for sure! Fries! But I think I would like to try to make my chicken tenders as well! I would luv to try air fried tofu & beet (red and gold) fries. Im a life long vegetarian in a house of meat eaters. I’ve refused to make meat (no idea how to cook it!) but I’d love to try with something like this. I’d probably make chicken for the first time ever in my life. I bet the family would be so happy too! 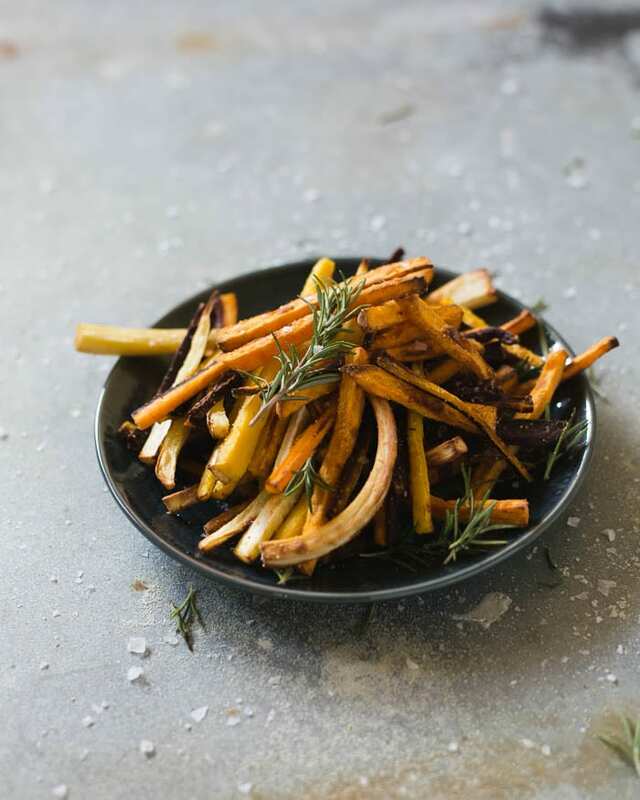 I like simple–potato, parsnip, sweet potato fries! But I an curious about bread possibilities! I would love to make these with the sweet potatoes I buy from an Amish farmer. The are fabulous and would be great as healthy fries. Wow! I’d love to fry chicken. Also thin frys. And oh, tempura veggies would be awesome. Fried zucchini. My family will eat it as fast as I can fry it. What a friday night line up! Love those freezer fries ;) especially the crinkly ones (our vice!) but man does this air fryer sound so unique. I love the sound of it here, and your crispy home-fries sell it Emilie <3. I hope you and your two little lawyers (and hubs) are having the merriest start to your holiday season. lots of xs and os. Veggie fries and include green beans and zucchini. WHY. I’m hungry and those fries look delicious. I love the idea of making my own veggie fries, and to complete the meal … fried chicken to go with. Thanks for the opportunity at a chance to win this great package of goodies. I would first try your recipe because it sounds great. Then I would try fried chicken so I could make chicken and waffles at home. Fried chicken, fried fresh-caught bass fish, and fries! I want to try crispy carrots chips and dip in a honey mustard sauce! Sweet potato fries all the way! What a super fun giveaway. Thanks for the opportunity! I was going to say brussel sprouts, but when I read Spring Rolls, I think that’s even better. I loved reading all the suggestions! I’d love to make healthy zucchini fries. The Airfryer sounds like the perfect appliance! I second the tempura comment above. Mmmmm sweet potato fries! I also deep fry latkes and veggie fritters. I’d even branch out into onion rings and fried mushrooms too. your fam is quite lucky to get steak and fries every friday night! i’m so glad you posted your thoughts on the air fryer because it was a topic of discussion at thanksgiving. kind of amazes me that you can do it with so little oil! i feel like it’s something i’d use often. and i think the first thing i’d try is spiralized sweet potato fries. xo! Thank you for hosting such an amazing giveaway. I would try to make ‘croquetas’ or croquettes with Jamon serrano…they typically require a lot of oil for frying so this would be fantastic! I would love to fry up some chicken cutlets since I haven’t made them for my family in a very long time because of how unhealthy the traditional frying pan seems to to be.My husband would be a very happy man to eat those again! French fries for me and my grandson!!! Okay, so I’d probably would fry everything with this, but if i had to narrow it down to a few things I’d make, fried yogurt/ice cream, fries of all kind, avocado tempura, crispy chicken (the list goes on and on). I also love how versatile this fryer is because it also has other cooking capabilities as well! These are delicious. I love the zucchini,, sweet potato & carrot fries. I also add some squash and broccoli. I’d make fried tofu ! OOOH or Zucchini Chips. I finally figured out how to use my mandolin and have been making those like crazy. Wings recipe please! One of my fried weaknesses! That and southern fried chicken. If there is a healthier way to make either of these that gives me the flavor and crunch of real artery clogging fried goodness, I’m game to try it. Baked doesn’t cut it for me, I’d rather go without. I used to make my own potato chips but hate the mess and calories in oil, I also LOVE shrimp tempura. Those wold be my very first trials in an Air Fryer! These fries look awesome! I would definitely try to airfry falafel. I usually bake them, and while they’re delicious there is aaaalways something slightly missing! I had incredible polenta fries at a fab restaurant and would love to try those…thanks! I never fry but this sounds interesting. Your vegetables and you father’s ribs sound wonderful. I would love to make some sweet potato fries, or garlic fries, yum! I would love to try jerusalem artichoke chip or fries. I usually roast them or eat them raw, but I bet nice crispy chips would be delish!!! I would also try fried artichoke hearts when the little ones are in season! Oh, I would fry lots of veggies, sweet potatoes, cauliflower, squash rounds, potatoes, and so much more! I hate all the grease associated with normal deep frying, and this type sounds so much better. I would make cauliflower bites in this airfryer. This would be a great way to have my family eat more vegetables. These looks so delish!! I would try so many different roots/veggies- carrots, sweet potato, ect. But the first thing I would try is beets! I love roasted beets so I think they might turn out well. Plus, beets have so many benefits for you it’s a great way to serve them to those that may not like them steam, roasted, or raw! Yum! I would love to make egg rolls and fries! I would love to fry those lovely long string beans.or even cauliflower florets. A nice crunchy veggie treat! Fried sunchokes and meyer lemon! Thank you. Ooo! “Fried” chicken! My most favorite food! I would like to try fried cauliflower. I’ve never tried it, but I’ve heard that it has a whole different taste than boiled. French fries and fried sweet potatoes would also be high on my list. Thanks for the opportunity to enter this contest. I would love to make some healthy, vegetable based sides (similar to this post) for my dad when I am home for the holidays. As a nutrition student, finding alternatives to less healthy food options is important. Also, I love reading your blog for inspiration – it’s so great! Happy Holidays. I would love to demonstrate to my husband, our chef, that there is a healthy alternative to deep fried chicken. Wow lots of comments today! I’d make Friday night “Fry-day” night and try making whatever the family wants! What a fabulous giveaway! I would love to try making sweet potato fries! I’m a dietitian & I would LOVE to try any & everything!! I’ve seen the air fryers but always hesitate in buying another appliance…but if one were gifted to me, how could I say no?! I would totally make fries. Fries fries fries! I am in love with sweet potato fries! We do very little frying and they are not crisp when baked. This appliance sounds like the solution. I would also like to try other vegs in one. Has anyone tried frying squash or green beans? ….the possibilities are making my mind whirl. I could have fun with this. And, MERRY CHRISTMAS to you and your family. Goodness. The first and foremost potato fries! This summer battered zucchini, onions, mushrooms. I’d love to Matthew some sweet potato fries or parsnip. The possibilities are endless! Make, not Matthew! Omg autocorrect! OH my gosh – LOADS of sweet potato fries!! I would make fried chicken and pair it with waffles! I would make chicken and fries! I would make fries, lots of fries for my allergy ridden kids. And gluten free egg less egg rolls. I would love to use it to make healthy chicken and veggie dishes when I am home from school next month! Oh, my gosh! Fried okra, please! Sun chokes and zucchini fries would be right up there. Or maybe some romanesco covered in pancetta. Otherwise, I love sweet potato fries, covered in any plethora of herbs and spices. Sumac is great for that…. lovely zingy citrus kick and give it a further north African feel with some chilli flakes and cumin. I sooooo have been wanting an air fryer. I would make falafel first. Then fries and tempura. I’ve lost over 100lbs in the last year, so as you can imagine, fried foods of any sort have become a thing of my past, but I must admit that I sure do miss a good french fry! That would be the first item that I would make with this healthy kitchen appliance. French fries, sweet potato fries and wings would be up there on my list! i would love to make all kinds of fries! I would make anything French fried (sweet potato, potato, carrots etc),and fried cheese sticks. I’ve also heard that toasted ravioli are great in air fryers! I love sweet potato fries but I would love to try to fry a hard boiled egg like the Irish do. I am not found of some of the spices they add (Irish restaurant we like to go) but with some creative spice blends I know I could create a mouth-watering deep fries hard boiled egg. Cheers! Kale chips might turn out as light as dandelion blossoms if done this way. I would love to find ways to get my kids to consume acres of leafy greens, all the the guise of crunchy snacking. I would airfry spiralizeded everything: sweet potatoes, butternut squash, zucchini, you name it! Also harissa and honey glazed carrots, and naked broccoli and cauliflower. Yum! As a new mama with a husband who works days at a time as a firefighter, I usually don’t get to eat breakfast until around noon and often skip dinner altogether as I’m too exhausted to put things together. I found a recipe for a roticerie chicken that cooks and in an hour! I would probably make that! So many different things you can make with one roasted chicken! On a day when the husband is home and there is more time, I would robably make some of his once a year indulgent favorites, – pecan pie and biscuits and maybe Emeril’s bacon and corn pudding, because yum! All served with a non air fried salad. Haha. Also saw yummy Indian recipes and veggie recipes and even cakes! These look very delicious! Wow! By the way, your photography is beautiful! Thanks for the chance to win this awesome prize pack! Your fries look delicious. One of my favorite things. I do double fry with Michael Symons recipe. Actually baked then fried…so good! But, my Christmas wish list is an air fryer because we eat healthier than my southern roots and I miss frying. First up for me would my fave a captains platter of fresh fried fish, shrimp, lobster, scallops and oysters..onion hush puppies too..oh my heaven in my mouth! This entire giveaway is me me me..haha. I’m a huge Gordon fan! I bet kale chips would be great too. Hmmm, I remember having some deep fried pickles at our Minnesota State Fair and they were so good! I would love to try and recreate them along with a killer sauce to dip them in. Maybe a sour cream Chipotle or a creamy mustard ranch. Mmmm. my husband just learned the one stick of butter+ 4 slices 0f white bread torn and mashed and turned to breadcrumbs on the stove. with constant stirring for around 10 minutes in a small saucepot until medium brown. my mothers recipe. storebought breadcrumbs are so dry and sawdusty! with the air fryer, i would not fret about all that butter or grease. i believe it would be wonderful to use my mandoline to shave slices of potatoes and create little millefeuille without all the calories and fat. also, individual apple pies and stratas (potatoes or green squash or spinach, etc. with cheese and a pastry crust. i enjoy serving a lovely plate where every friend has their own individual serving. Egg rolls and some Chinese chicken that requires deep frying. Also fries. YUM! I am so excited by this. I would make allll the veggie fries! But I am super intrigued by your Dad’s spareribs. From falafels to churros the texture frying gives food is truly the best!! Hello! So nice of you to offer this. I would make sweet little noodle Birdsnests in which to put homemade (white & speckled) chocolate truffles to give as holiday gifts…. Yes, please! I would love to make shrimp and vegetable tempura. I only eat them out where they are deep fried but if I could make them healthier, I would make them at home. I would make phyllo pockets, omelets, and (of course) all types of fries!! Bacon because, come on, bacon. Fish because steamed is good, but fried is great. Croutons because a small handful of big, chunky, flavor-filled, toasty pieces of bread single-handedly make a $7 salad a $13 salad. Zucchini and eggplant fries! I can never get them nice and cripsy baking them in the oven. These look AMAZING! I’m so curious to learn more about air frying! I would definitely try my hand at some classic buffalo wings or crispy fried brussels sprouts. I’ve been wanting an air fryer for a few years now! I’d love to win one. I’d probably try out french fries first, but I would be interested to see if it could handle fish as well. What an amazing concept! I would love to win this!!! I would fry up every vegetable that I like and see how great it would taste. Then I would move on to popcorn, potatoes and maybe even bananas! I think I could spend all of January & February just playing with this wonderful invention! definitely keeping it classic: French fries! I would make fried chicken, for the Korean Fried Chicken I make. I’d try green beans sprinkled with a little garlic salt and maybe parmesan cheese and potatoes of course. But I would also fry sliced apples drizzled with honey. Yum! Fried chicken and cauliflower tater tots! I’m hungry just thinking about it. This might be a little experimental but I would love to be able to make latkes without all the oil! I would make sweet potato fries! I make those every week and the thought of fried chicken strips sound appealing too! Potato, sweet potato, zucchini, carrot, kabocha! Definitely sweet potato fries! Thanks for the giveaway! 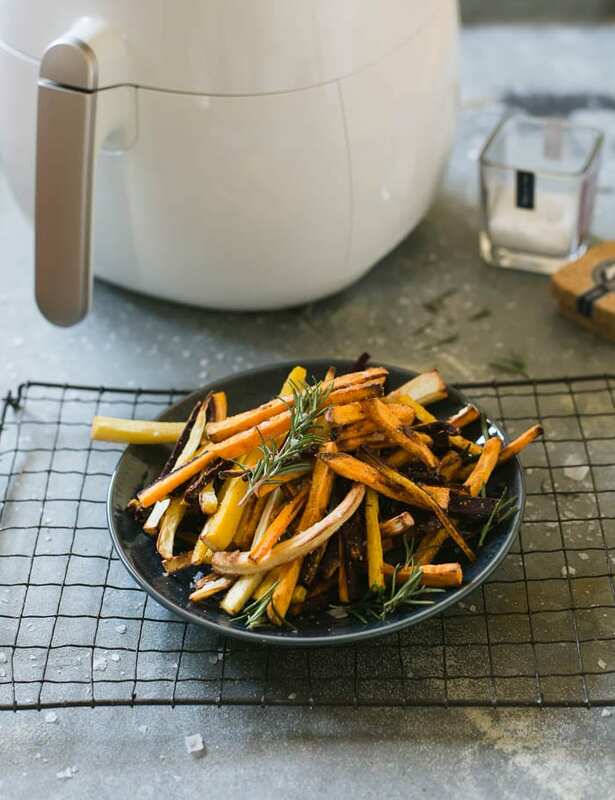 I would make sweet potato fries in the air fryer! Yum! I would definitely make some veggie chips and try to make some Asian fried dumplings!!! I’d love to try sweet potato fries, and fried zucchini…and so many things! Char siu roast pork would be first on our list to make! I am laughing so hard right now – “The Clever Carrot doesn’t make her own fries!” I can hear you saying that. I am also a fan of shortcuts of the good kind. I am seriously smitten with this device! I think I’d have to make a batch of parsnip fries. I sometimes love the flavor and sometimes don’t. I think they would be delicious in fry-form, though! ;-) I hope you have the merriest of Christmases this year. XO! I love sweet potato fries. Would have to try those first. Fries and chicken – no doubt! I’d make a mix of sweet potato and kale chips with my Airfryer- Yum! I would want to try peach fried pies! Love any tempura fried vegetables! I’d get some sweet potato fries going! I would LOVE to make chicken wings with fries!!! HELLO, dinner!!! air frying! that looks crazy! i’d try fish and chips. or maybe dumplings! Oh my goodness, a giveaway for an air Fryer? You are the best! I just learned about these a few weeks ago from a friend. What I would make first? That’s easy! I’d make those veggie fries of yours. Then I’d try eggplant because I hate frying eggplant but looove to eat it. Thank you! I am such a kitchen gadget geek, this is one item I have always dreamed of having, but never could get to shelling out the bucks (I have kept the Williams and Sonoma catalog page tabbed to this item for months on end). If I won, I might just put it in the kitchen and stare at it lovingly for a few days. But then, I would go to town looking through recipes to see what all I could do with it. What doesn’t taste better fried?? But, for the first test run, I’d try the potato fries recipe. Then, I’d look at other vegetables (asparagus, carrots, green beans) and see if I can’t win my husband over to eating more vegetables. Thanks so much for this wonderful offer! I have seen these fryers around and am so intrigued. I would love to use one. I would make all kinds of veggie fries and chips! Donuts. I want them fried but not heavy. Rolled in sugar while they’re still hot to give them a crust and then filled with custard. Or fried chicken. Its winter. The perfect time for culinary decadence. I’d go for fries and donuts! I just LOVE fried eggplant sticks, but I can’t seem to get them to crisp up enough in the oven, and they’re too delicate to turn in a pan. I would love to try them out in a Phillips Airfryer! I’d love to make fries – both sweet potato and white potato. Asparagus & fennel would be my first order! I would make chicken nuggets and hashbrowns with it. Sounds amazing! What would I like to cook in it ? Everything! :) I would love to try eggplant, zucchini, sweet potato, Yuca chips, beets, plantains, and so on, and so on. Fried food without the fat? Dream come true ….thank you for introducing the product ! I would use it to make chicken strips and frozen burritos. I’m hoping this contest is not over — I don’t see an expiration date. I’ve heard homemade Spring Rolls come out really well in an air fryer, so I’d like to try thise! I learned to make gyoza some years ago, and while l love it, it’s not on my current healthy diet. I’d love to try it with the air fryer, so I can enjoy this tasty treat again. I would love to try making Korean fried chicken. The veggie fries sound great as well! That air fryer is amazing….how have I not seen this before. SO glad you did this post! I would love to make crispy chicken fingers with parm and try a really good chicken fried steak, too! Yum. I would try apple cider donuts or yuca fries that I just tried this past weekend that were out of this world. Easy, tater tots with smokies and homemade spicy mustard and Indian fry bread with summer jams. I would like to make egg rolls. French fries – white for my husband and sweet potato for me. Zucchini and sweet potato fries!!! Think I’d jump right in with some eggplant. I love tried perogies but I try not to eat them because of all the fat but if I owned this I would try frying perogies in it. I’m hoping the contest isn’t over yet! I would love to make garlic fries! Avocado egg rolls! Sweet potato fries! Crab Rangoons! Oh the things I would make…. desperately need one! My husband hardly eats healthy and with this he wouldn’t even notice! Can beans be done in an air fryer? Hi Gayle! That’s a great question. I’ve never tried beans in the Airfryer, but it’s possible that it might work. There might be more information on their website or if you Google around. I thought the title of the page was How to Make Crispy Veggies without Fat, but I see you’ve added 2T olive oil. What’s with that?! Hi Jem! Great question! Although there is indeed 2 Tbsp of oil in the recipe, “without the fat” refers to the lighter, alternative method to deep frying fries. Per the AirFryer instructions, the oil is needed top prevent sticking; the veggies are not submerged in excess amounts of oil like traditional fries. If you’re looking something completely fat-free, perhaps baked fries would be something you’re after. Hope this info helps!